When you schedule a session with a participant, a contact is automatically created and saved for next time. 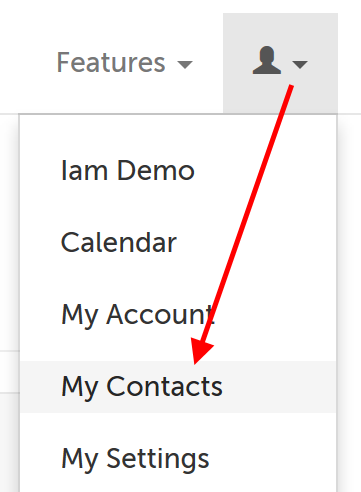 If you begin typing a name that matches a contact you already have, they'll appear in the autofill for you to select. 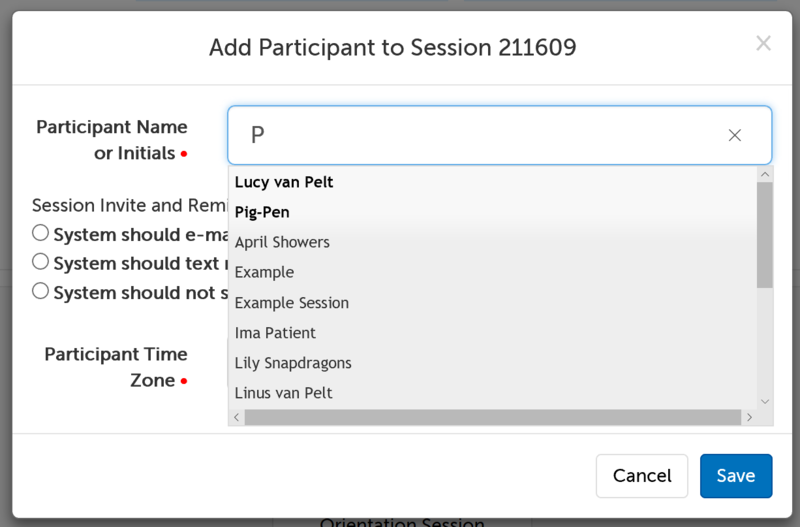 This support article illustrates how to favorite a contact so that they appear in boldface at the top of the autofill, when adding a matching participant to a session. 2. Scroll down to the bottom and click the "My Favorites" button. 3. Click on "Favorite" for any contact you would like to make a favorite. Click on "Normal" for any already-favorited contact that you would like to make normal again. 4. Scroll down to the bottom of the page and click the "Save" button. This article was last reviewed by our Support team on April 29, 2017.